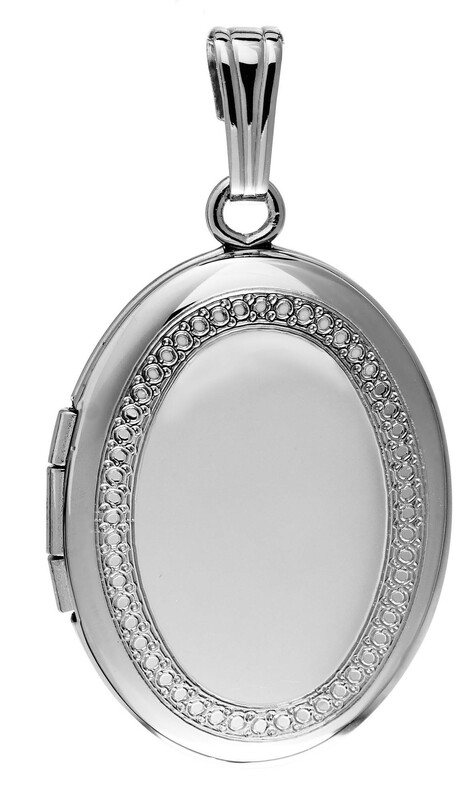 This hand engraved oval locket is elegant with a heavy feel that only the finest lockets have. The unique detail of the bale reminds us of Victorian days so the locket displays a mix of both old and new. Measuring approx. 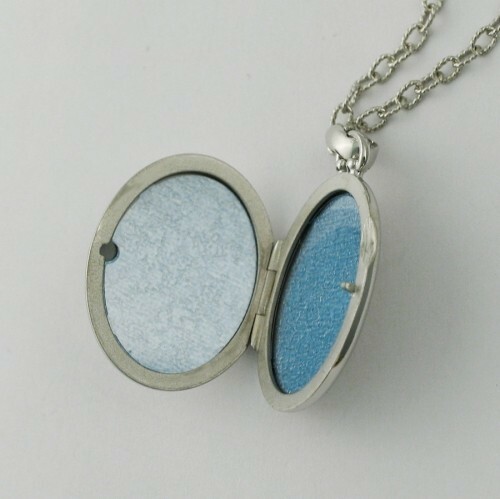 3/4" across and 1" down with an engraved border, it comes with a beautiful 18" elongated cable chain that perfectly matches the style of the locket. The back is plain and ideal for engraving. Made in the USA. Holds two pictures. Lifetime warranty.